The Steve Prescott Foundation has reached one million pounds worth of fundraising, making 2016 a milestone year for the cancer charity. As one of the charity’s key sponsors, we’re truly blown away by the news of their incredible achievement. To celebrate this great feat, over 200 people turned out on Saturday 18th/19th June for the Yorkshire Three Peaks Challenge – a 24-mile trek over 12 hours! The walk was a huge success, taking in the picturesque surroundings and rolling countryside around Pen-y-Ghent, Ingleborough and Whernside. What is The Steve Prescott Foundation? The Steve Prescott Foundation was set up by rugby league star Steve Prescott, after he was diagnosed with Pseudomyxoma Peritonei – a rare form of cancer. Steve was given just months to live in September 2006. He dedicated that time to setting up a charity to help other cancer sufferers and their relatives. His legacy lives on through The Steve Prescott Foundation, which is run with the support of Steve’s family, friends and the community. The charity also works very closely with the Christie Hospital to help cancer sufferers and those affected by this terrible disease. Of course, this milestone would not have been achieved without the dedication and generosity of everyone who has helped The SPF. The London Marathon 2016 – In April of this year, a number of runners ran the London Marathon to raise funds and awareness for The SPF, including the Rainford to London cycle team who raised around £2,000 for the charity. Spectrum Kilimanjaro Challenge 2015 – On October 2015, The SPF raised more than £170,000 for charity after a sponsored climb of Mount Kilimanjaro. The team of 40 set the world record for the highest game of rugby ever recorded! 30-mile walk for three charitable Saints fans – In July 2015, Rob ‘Rughead’ Taylor, Bobby Taylor and Sam Thompson walked 30 miles in 12 hours for The SPF, taking in five Rugby League clubs along the way. These are just a few of the amazing fundraising events to have taken place over the years. You can read more about all of these and more on the SPF’s website. The Steve Prescott Foundation’s hard work continues to change the lives of many cancer sufferers and their families. But their work isn’t yet done. Cancer is still one of the biggest causes of deaths in the UK, which is why we continue to support The SPF in all their hard work. We’re eagerly anticipating the upcoming Tabern St. Helens Triathlon, which is due to take place on September 25th at Eccleston Mere. The race is expected to raise even more money for the charity. To find out how you can get involved with triathlon or to donate, click here. One of the most exciting challenges that The Steve Prescott Foundation faces is the Spectrum Everest Base Camp Challenge. They’re not quite going to reach the summit of the highest mountain in the world, but they’ll be trekking up to ‘Kala Pattar’. At a whopping height of 5645 meters above sea level, this is no mean feat! Each one of the climbers has pledged to raise a minimum of £4500 for the SPF, and are preparing themselves for a serious test of fitness stamina and determination. 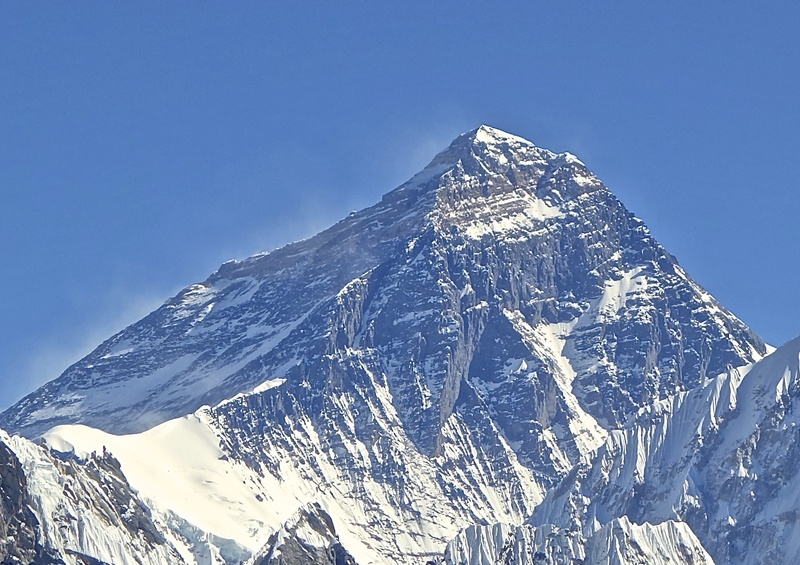 The oldest person to climb Everest was 80-year old Yuichiro Miura, from Japan. The youngest was 13-year-old Jordan Romero. The tallest building in the world, the Burj Khalifa in Dubai, would have to be stacked up ten times to even come close to the height of Everest. There are WiFi hotspots along the mountain. The first Tweet from the summit was sent by Kenton Cool in 2011 from a weak 3G signal. Eight tonnes of rubbish collected from the slopes of Everest were turned into works of art. This highlighted the issue of littering on the slopes, as well as recycling the remains of a helicopter!